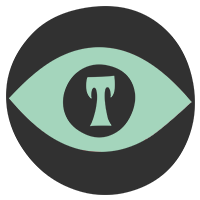 Takauma is a collective of experienced Helsinki based freelancers who expertly meet every modern audiovisual need. We individually work on projects that require specific expertise, and we also create start-to-finish film productions together as an ensemble. Maybe you want an entire production team to create your next video production, or you're just looking for the right editor to bring your latest project to the next level. We always bring years of experience, professionalism and a passion for quality into everything that we do. Short films, music videos, commercials, documentaries and more. We create images in motion. and we also team up to create entire productions.